Although the room was clean, it is badly in need of refreshment. The carpet is stained, and some of the dishes and appliances in need of renewal. 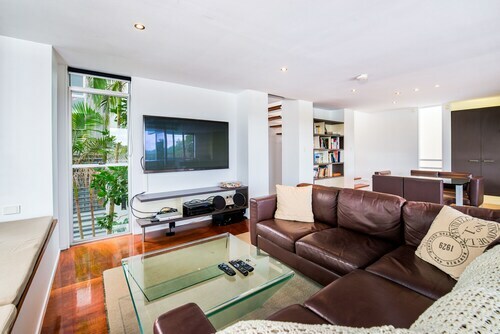 Situated in Tugun, this vacation home is within a 15-minute walk of Currumbin Wildlife Sanctuary and Currumbin Beach. 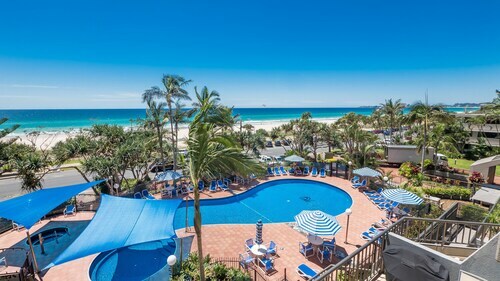 Kirra Beach is 2.8 mi (4.5 km) away. 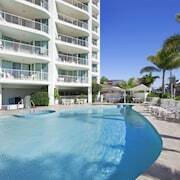 Situated in Tugun, this condo building is within a 10-minute walk of Tugun Beach, Currumbin Wildlife Sanctuary, and Currumbin Beach. 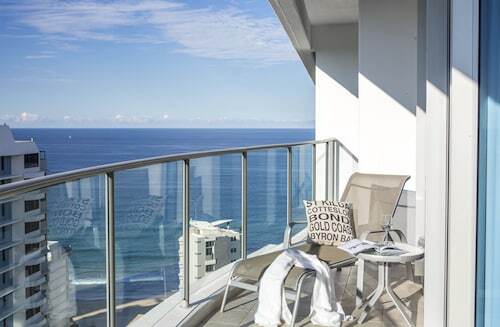 Kirra Beach is 3 mi (4.8 km) away. 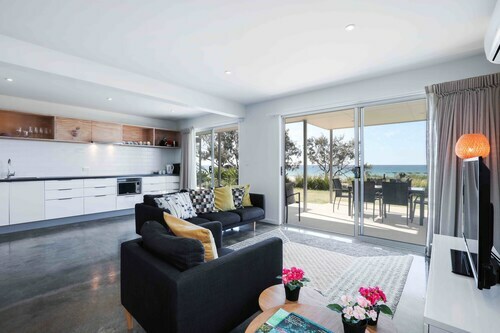 Situated by the ocean, this luxury vacation home is within a 15-minute walk of Currumbin Beach and Currumbin Wildlife Sanctuary. Palm Beach Pirate Treasure Island Playground and Surf World Gold Coast are also within 15 minutes. 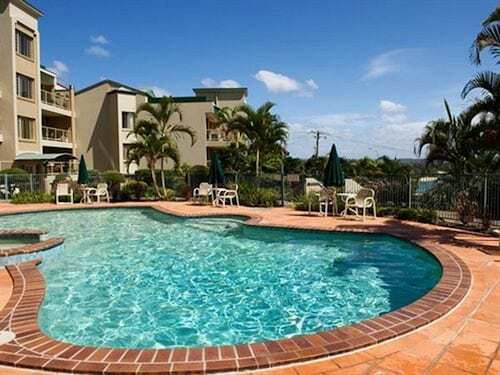 Very nice location, great outlook and very close to beach. 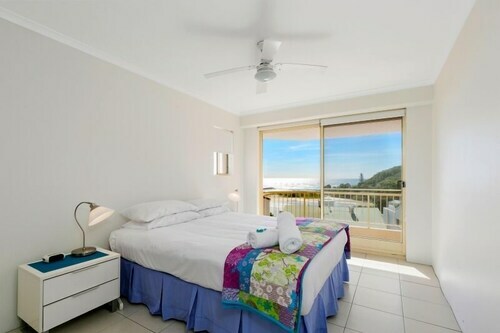 Apartment needs updating, however the beds, linen and towels were of good quality. Planes coming into land, low overhead are really the only downside. So close to the ocean. Easy to catch public transport. Lots of marks on the walls though & sand throughout the apartment when we arrived..
Amazing location, right on the beach! Really good value for money, spacious apartment with everything you need. You'll be able to say g'day to some wonderful animals at Currumbin Wildlife Sanctuary. Wondering where it is? Unfold your map and draw a circle around Gold Coast. 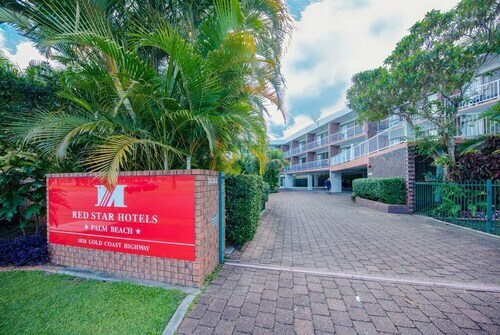 It is situated 75 kilometres from the state capital, Brisbane. 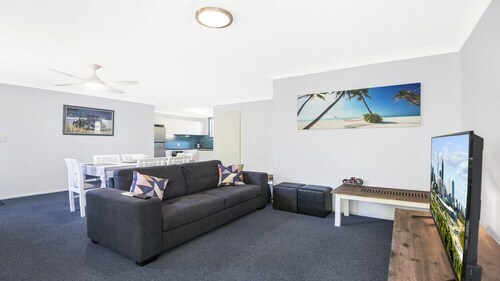 You'll be just a short commute away if you make a reservation at one of the many accommodations near Currumbin Wildlife Sanctuary. Within 3 kilometres, you will have no less than 26 to choose from. 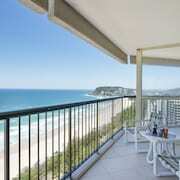 Nearby ones include the Sanctuary Beach Resort (0.2 kilometres), the Little Cove Currumbin (0.7 kilometres) and the San Simeon Apartments (2 kilometres). 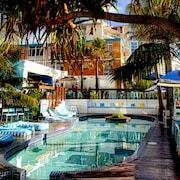 If seeing the sights matters more than stylish rooms with a view, make a booking at the Palm Beach Hotel. You'll spend less and still be a mere 2 kilometres away. Alternatively, if you want luxury and comfort, secure one of the many upmarket hotels close by. 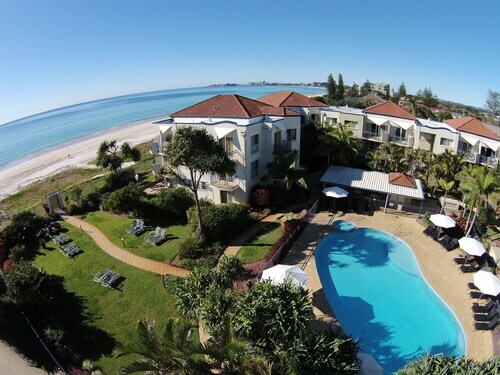 The Royal Palm Resort and the Sandbox Apartments are spots you'll want to consider. The former is 2 kilometres away and the latter is 0.8 kilometres. Only 0.5 kilometres from Currumbin Wildlife Sanctuary is The Deck Cafe, where you can get hot coffee and delicious treats. Head to 1/794 Pacific Parade, Currumbin to get your fix. Or are you seeking something heartier? 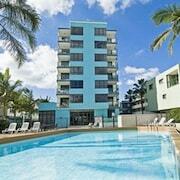 Relax, only 0.5 kilometres away is Currumbin Beach Vikings Surf Life Saving Club. 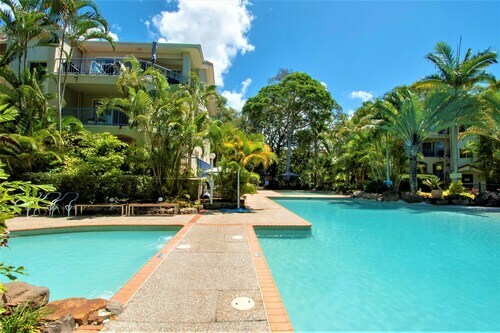 Find it at 741 Pacific Parade, Currumbin. 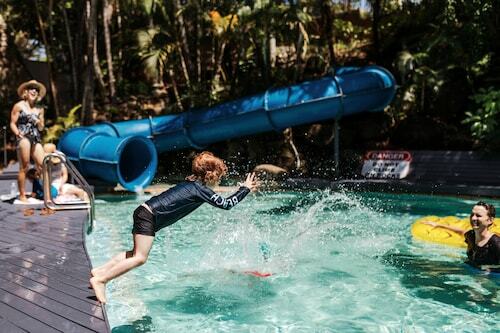 Surf World Gold Coast is a sporting museum for people of all ages, so the entire family can come! Take a deep cleansing breath of sea air at Currumbin Beach, and let all your worries disappear. 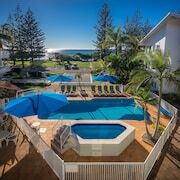 At Tugun Beach, the shores and ocean air await. So pack your towel, and take off to soak in the scenery. If you're looking to recharge your batteries, breathe in the fresh air at Schuster Park. 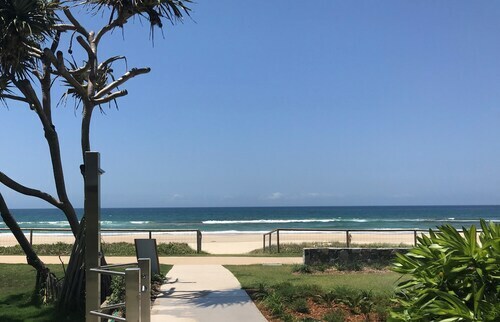 North Kirra Surf Club is a reputable local establishment where regular members can come to chat, and take part in a range of recreational activities. 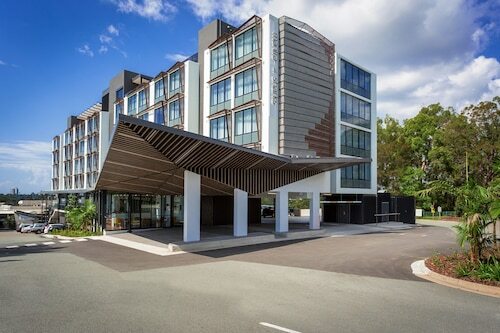 How Much is a Hotel Room in Currumbin Wildlife Sanctuary? 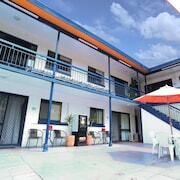 Hotels in Currumbin Wildlife Sanctuary start at AU$79 per night. Prices and availability subject to change. Additional terms may apply. 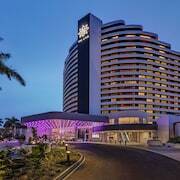 It’s old and tired hotel, it serviced its purpose. The staff were lovely. 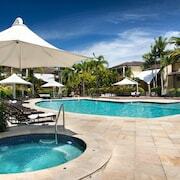 Great location good price for a family short stay. We would stay there again.